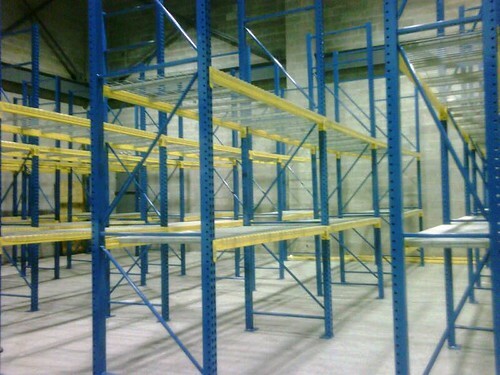 Tips on Buying Used or New Pallet Rack NYC, a photo by Gale's Industrial Supply on Flickr. Buying used product may have some pitfalls or could be a great deal. Do your homework. Most used lockers, shelving and rack arrive with no warranty or return options. In todays times you can buy new for about the same cost. Also check with your insurer regarding buying used product. It may be an issue. Gale's (Est. 1938) provides, Lifetime Warranties. onsite, cost effective, space saving layouts. Call us today for immediate assistance. Labels: "pallet rack nyc" " pallet rack nj" pallet rack buying tips" "gales industrial supply" "used pallet rack nj" used pallet rack nyc"